Hope everyone had a great spring break! It’s been quite a week, y’all; here’s what you may have missed while you were getting back into the swing of things. College basketball fans across the country were horrified when Louisville guard Kevin Ware suffered a grisly leg injury during the game against Duke on Sunday. It wasn’t all bad luck for Ware, though: with his encouragement, Louisville went on to beat Duke and progress to the Final Four. Lilly Pulitzer, the designer known for her preppy prints, passed away this week; she was 81 years old. It was announced on Wednesday that a team under University of Missouri professor Frederick Hawthorne has successfully developed a form of radiation that put mice into remission from cancer with no side effects. This breakthrough in cancer research is simply another example of the amazing work that is being done at MU. 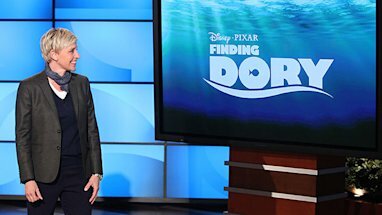 Ellen DeGeneres broke the news of the “Finding Nemo” sequel, “Finding Dory,” which is set to release in 2015. Is there a way to buy tickets for movies two years in advance? !